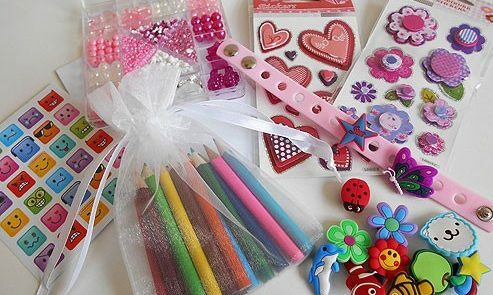 I love these busy bags from All About Party Bags which only cost from £1.60 per child. They’re clean, quiet and perfect for individual play. These little bags are amazing for keeping kids quiet as speeches roll on, and dinners comes out. Summer is the dream wedding season for a good reason. In my opinion, there’s nothing better than a glorious sunny day to celebrate a marriage, and a venue with a great outdoor space is amazing for entertaining kids. Set up a few lawn games like ring toss or giant jenga and let them entertain themselves. Of course, these can be used on a nice autumn and spring day too, or even a winter wedding, but you’ll need a spacious venue that would allow this. Games like this can be bought cheaply on wedding recycling sites, like Sell my Wedding or Bride 2 Bride and resold there afterwards. Kids love dressing up, so what better than a photo booth? This won’t just go down a treat with the kids, the adults will love it too – trust me. You can print off your own props to keep costs down, though in reality most booths come with props. Ceremony, dinner and speeches out the way – it’s time to dance! By the evening, the kids will be pumped up on sugar so dancing is perfect to wear them out before home time. Simply ask your DJ to throw in a few of their favourites like Let it Go and Happy. Do you have any more low- or no-cost ways to entertain kids at a wedding?